Ada County Sheriff Stephen Bartlett told state lawmakers Monday that his county jail is being overrun with state prisoners including parole violators, and he blames the state’s justice reinvestment initiative. But state officials said JRI, which the state adopted in 2014, actually didn’t change anything on when state inmates are released or when parolees land in jails. Sandy Jones, executive director of the Commission for Pardons and Parole, said it’s a “common misperception” that the justice reinvestment initiative somehow requires early release of prison inmates. In 2014-15, there were 459 parolee bookings into the Ada County Jail, he said; in 2017-18, that figure was 658. Just as before JRI, the Parole Commission doesn’t consider releasing any Idaho inmate until the inmate has served his or her full fixed term as set by a judge, Jones said. After that, the commission weighs risk to the community in deciding whether to release an inmate on parole during their indeterminate time that follows their fixed term. With improvements in treatment programs inside prisons, inmates who were awaiting programming completed it, and the long waiting lists they faced back in 2015 were eliminated, Jones said. That did lead to more offenders being released on parole, but they still were being released under the same standards as before. Bartlett’s was just the latest in a continuing chorus of criticism from law enforcement and prosecutors of the state’s justice reinvestment initiative, which is aimed at reserving prison cell space for the most dangerous criminals, while investing the savings from less incarceration into programs designed to reduce repeat offenses among lesser offenders. Ninety-eight percent of Idaho’s prison inmates eventually are released back into the community. A key aspect of the justice reinvestment initiative, calling for shorter, 90- or 180-day sanctions for parole violators, was repealed in 2017 at the urging of law enforcement officers who said criminals were being let go too early. The state then expanded the Parole Commission so it could hear more cases; it has full discretion over who gets released and who gets sent back behind bars. 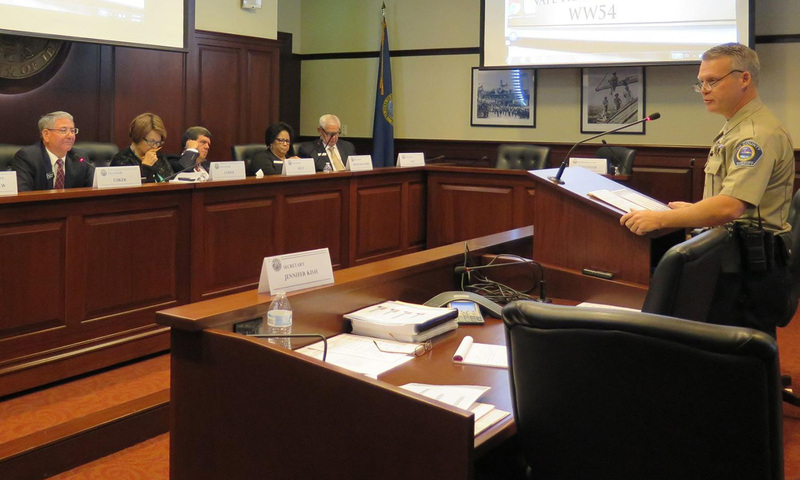 Idaho, in cooperation with the Council of State Governments, first passed its justice reinvestment legislation in 2014. All three branches of state government — the Legislature, the executive branch and the courts — collaborated on the plan, which is aimed at halting what CSG identified as a “revolving door of recidivism” in Idaho’s criminal justice system. Idaho has the highest incarceration rate of any of its surrounding states and the lowest crime rate. “I know that everyone’s trying to find answers,” Sen. Patti Anne Lodge, R-Huston, said with a sigh after Monday’s meeting. Lodge, chairwoman of the Senate Judiciary Committee, co-chairs the oversight committee with Luker. Sen. Jim Rice, R-Caldwell, had a strong reaction to Bartlett’s comments. Rice said Idaho passed JRI but hasn’t really implemented it — because it hasn’t sufficiently increased the number of probation and parole officers to supervise offenders who are out on parole or probation, or the amount of treatment available to released offenders in the community.